Kevin J. Castle was indicted by a Washington County grand jury and faces felony charges. Police arrested the suspect in the Feb. 27 robbery of a Tigard bank on Tuesday, the Tigard Police Department announced. Kevin Jonathan Castle was arrested at his apartment in Gresham by detectives with the Tigard Police Commercial Crimes Unit, with the assistance of U.S. Marshals, according to police. The arrest took place without incident Tuesday evening. A Washington County grand jury handed down a secret indictment of Castle last Friday, after investigators identified him as the suspect in the bank robbery, court records indicate. 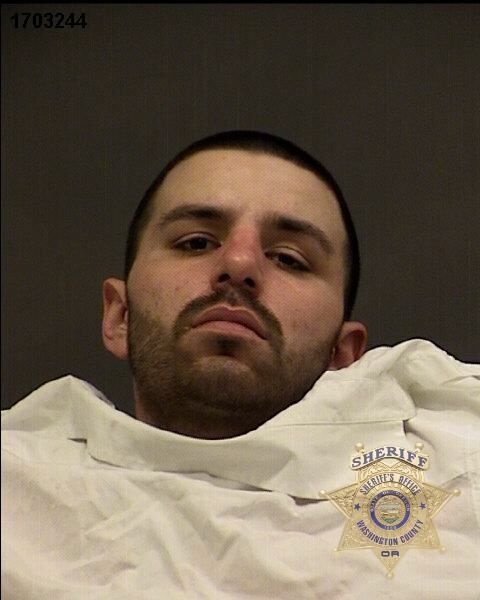 He faces charges of second-degree robbery and third-degree theft, both felonies under Oregon law. Castle threatened a bank employee, claiming he was armed, and stole more than $5,000 in cash before fleeing the scene on Feb. 27, according to prosecutors. No one was injured during the incident. Castle has been lodged at the Washington County Jail. He was arraigned Wednesday and pleaded not guilty to both charges, according to court records. Key Bank is located at 11665 S.W. Pacific Hwy. in Tigard.